Shuyin was out in the woods to have some fresh air. He was sitting under a huge tree enjoying it's shade. He stretched out his arms and laid back on the tree's huge trunk. He then saw something moved nearby. As he tried to distinguish what or who it was, he noticed it was Merri. "Yo!!" he raised his hand and waved at Merri. Merri was dazed by all the colors and various plants within the forest, so when Shuyin called out she shrieked and nearly jumped up into one of the trees. This probably scared any of the magical creatures residing nearby. Realizing the voice had been human and not someone trying to kill her she calmed down and walked over with a meek, "Hello." She felt a little embarrassed about having reacted so lamely. Of course other students were probably exploring the forest just like her. "Have you seen any unicorns," she inquired. Shuyin facepalmed as he realized he startled Merri. "Ah! Sorry!" he shouted as she said hello. Merri looked rather disappointed, maybe this isn't the path to unicorns. "Gino said the unicorns were in the forest so I wanted to see one." She frowned and took out a hand drawn map of the area, it was one she had made herself so of course it was pretty much useless. "We are here..." she trailed back off into her thoughts. Merri seemed so excited to the idea of finding unicorns that she rushed down on her way to the western part of the Forest of Light. "Merri, you run so fast" she said as she caught up with her. Rinoa saw Shuyin and Merri. "Hi" she greeted Shuyin. "Rinoa, 5th year, Habitus" she added. Then Rinoa looked back and shouted "Oi! Gino! Here! Here!" she waved at someone walking behind her. "What is it Rinoa?" he replied as he walks towards Rinoa. He was busy reading a book for one of his classes. Merri glanced backwards as the two joined Shuyin then she suddenly remembered that she had asked Rinoa to join. She gave a small laughed and bowed her head in apology. "I guess I was so excited I forgot that you were coming along. Sorry for running off so quickly." She held up her map and pointed to a location that she had scribbled bright pink, "I think the unicorns are here!" She declared with confidence. "Well.. Maybe they were shy so they hid themselves" Shuyin responded to Merri and grinned. "Hmmmm" he took a look at Merri's map but gave him the hard tome to comprehend. "So" he started as when Rinoa showed up and introduced herself. "Hello. Shuyin, from Orbis Terrarum." Shuyin replied and smiled back. Then there's Gino. "Ah new kid" he commented. "I can join you on your hunt if you'd like" Shuyin offered to Merri as he pulled himself up and do a few stretching. Rinoa raised her hand in front of Merri. "It's okay dear" she said and smiled. Rinoa looked at Merri's map. "Now maybe, we should ask Gino, since he knows how to track creatures" Rinoa suggested and looked at Gino. Not really aware of the group's agenda for the day, he just caught up with the idea that they were hunting unicorns when Merri mentioned it. "Oh okay, let me have a look at that map of yours." extending a hand to reachs for the map. When he got a hold of it, he was puzzled to which part of the map was the unicorn located. There were lots of scribbles of bright pink in color. He then nodded his head trying to agree with the map Merri has made. "Err.. this map sure is helpful." he smiled and laughed in affirmation to the information in the map; but was really unsatisfied with it. "Maybe we should just go ahead into the forest, we'll be able to track down the unicorns once we're in there." he smiled looking at the group. Merri nodded towards Shuyin, "Of course you are coming! Who wouldn't want to go looking for unicorns!" She handed the map over to Gino and waited for his advice then smiled happily as he told her it was a helpful map, she certainly hoped so! She had spent all morning scribbling in possible unicorn locations. "Well the unicorns are out there waiting for us, I agree! Let's go find them." Turning towards the deeper part of the forest she marched on ahead. "Let the hunt begin" Shuyin grinned sliding his hands in his pocket, he walked forward and followed Merri's lead. Upon seeing Merri and Shuyin started walking, Rinoa looked at Gino. She went behind him and shoved him forward "What are you waiting for? Come on, let's go" Rinoa said. "You should be leading the way" she added still pushing him to move forward. Seeing Merri and Shuyin move forward, he sighed. "Here we go." He was then pushed by Rinoa to go lead the way "Okay! Okay! I'm walking." he replied. They walked ahead at the entrance of the forest but before they go further into it, Gino stated a warning. "Okay you guys, whatever you do, don't go wandering by yourself. And..! if you find something, try not to get close to it if you don't know what it is." grinning and getting a bit worried specially for Merrie who has been wandering to almost anywhere! Merri was a good distance ahead of everyone when she spotted a cute little hedgehog looking creature huddled under a tree. She gasped and hurried over to it. "Are you a knarl little one?" She kneeled next to the small creature and began to speak to it in hushed baby talk. As the rest of the group grew near she excitedly jumped up and pointed to the creature. "Look what I found!" She did not know in fact if it was a knarl but she hoped that one of them could tell the difference. While calling out to the rest of the group her loud shouting disturbed a group of bowtruckles that were living in the tree she was beneath. They became furious and rushed out to let whatever was bothering them know. Shuyin was just a few steps behind Merri since the order was Merri, Shuyin, Gino then Rinoa. As he reached Merri, he immediately noticed the group of bowtruckles rushing out from their home. Normally, these insect-eating creatures are peacefully but can become violent once disturbed. Having the hunch that they seemed disturbed by Merri's loud voice, he immediately grabbed the back part of Merri's coat and pulled her close to him. "Watch out" he said as he held her in his arms. Hearing that the bowtruckles became furious, Gino quickly looked for wood lice on the nearby trees. Apparently, wood lice are the favorite food of bowtruckles. He thought that maybe if they would offer wood lice to the furious bowtruckles, they might become calm. Luckily, he a group of wood lice on a tree that was just 5 feet away from him. He quickly grab hold of a few and went straight to Merri for help. He looked at Rinoa and asked for her assistance, "Rinoa, help put those bowtruckles at ease!" "Right" Rinoa responded immediately. She swiftly grabbed a handful of wood lice and offered them in front of the furious group of bowtruckles. The group of bowtrucles diverted their attention to the handful amount of wood lice and had directed their movement to where the wood lice were place. "Phwew that was close" Rinoa said as she cleaned her hands. "Merri are you alright?" 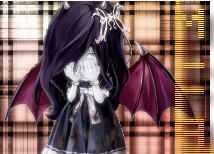 she asked as she turned her head towards Merri that was being held by Shuyin. Merri was confused, why was she being pulled backwards. "Shuyin?" She questioned then gasped and covered her face as the angry wood creatures swarmed out from their hiding place. Please don't let me die being killed by bowtruckles! She gave a huge sigh of relief when Gino and Rinoa came to their rescue. Thank goodness they knew what to do! "I'm okay Rin! Thanks for saving me you two!" She replied cheerfully then grinned at Shuyin, "Thank you too!" Happy to not have her face being attacked she decide to just stay put with the group this time, maybe Gino or Rin could lead! "Someone else lead this time." Shuyin let go of Merri when Rinoa and Gino had finally taken care of the angry bowtruckles. They checked Merri and she seems alright. "You're welcome" he replied and grinned back. "Yeah, maybe let Gino lead the way since he knows much about the forest" Shuyin agreed with Merri's idea. He was relieved knowing that Merri was not hurt. "Okay. Try not to wander by yourselves and stick close to our group." he warned them as they continue to venture further into the forest. A few moments later, he saw another animal crawling in the ground, a Flobberworm. It was pretty much harmless. "Guys, come and take a look at this." he waved a hand at the group and pointed at the flobberworm. Rinoa continued walking and stayed close with the group. As she heard Gino, she hopped and went to see what he was pointing at. It was a Flobberworm. Gino was pointing at a large worm on the ground. "It's huuuuuge!" Rinoa commented. Merri stuck very closely to the group this time, almost bumping into her friends on several occasions. "What is it?" She wandered over to the magical creature and looked down at the slimy fat worm. "Eww it looks gross!" She gave the creature a quick jab with the end of her wand and slimy residue clung to the end. "Ahh get it off!" She waved and shook her wand till the slime flung off. Shuyin checked out what Gino was pointing at. It was a huge slimy Flobberworm. When Merri poked the worm with her wand, her wand got some slimy residue. Shuyin laughed at Merri. "You're so energetic" he commented.